A few years ago, my daughter gave me a bracelet that she’d made for Christmas. It was made with turquoise and silver-coloured plastic beads on elastic cord. I loved it – both because my daughter, who knew turquoise was one of my favourite colours, had made it for me and because it matched a lot of my clothes. It also sparked a form of creativity that had never previously surfaced. I suppose I had been creative in other ways… I am a journalist by trade – and when I stayed at home with the children when they were young, I started painting, both with watercolours and on silk, because I needed an outlet for my creativity when I wasn’t writing. But here I found myself suddenly wanting to make jewellery – all thanks to some plastic beads on my wrist that were starting to fade in colour. The attraction was that I could make something to match whatever clothes I was wearing – I like to be colour-coordinated, you see! Then started my hunt for bead shops. With the help of directories, I managed to locate just about every retailer selling beads and metal findings in North-east England. I visited bead shops in Manchester, Nottingham, Chesterfield – and even managed to find some while holidaying in Italy or my home country, Norway. But in Italy, I could sometimes end up a bit hot and flustered when met with very helpful, but non-English speaking Italians – especially in a little shop we found in a backstreet in Bologna. Well, we didn’t exactly stumble upon it. I had sent them an email in Italian asking for directions. I had just stepped inside the door, when they recognised me as the person who’d emailed them from England… My written Italian must have been good, because they started talking to me as if I was a native. About an hour later I left – with a warm glow in my face and a bag full of metal beads…. But those metal beads, and glass beads I bought in Venice, are still in a box…. because six years ago I discovered gemstones! I was hooked from the fist time I saw these wonderful natural stones – and like a child with a new toy, my glass and metal beads were “cast aside”. 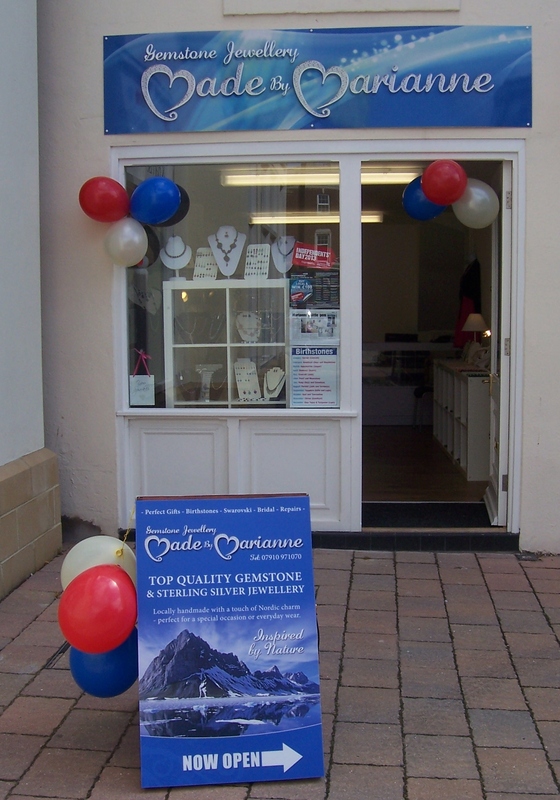 Jewellery-making quickly went from being a hobby to a passion. My gemstone collection grew with some speed… and so did the “mountain” of jewellery I turned them into. Now I needed to find a way of selling some of my jewellery. I had no desire to become a business woman or a shop keeper… I was quite happy being a journalist. Ideally I would love to make some money out of my jewellery-making, but I certainly had no grand ideas of “making it big”. Of course I would love it if one day I saw somebody on TV wearing one of my designs but, frankly, I would be just as chuffed if I saw somebody in the local paper or walking down our high street wearing something I had made. Anyway, while I was thinking of ways to sell my wares, an opportunity came up to have a shop unit in an enterprise outlet. The local council offered start-up businesses somewhere to test the market with a very low risk rent for six months. The idea was then that the businesses would move into their own premises. That wasn’t my plan. 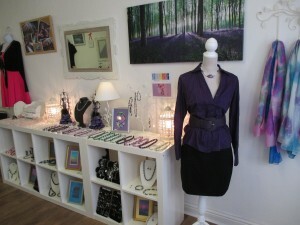 I was hoping that I could find fashion retailers or gift shops that would like to take some of my stock. But when the first gift shop I asked in wanted 60% commission, this business model didn’t seem so appealing…. and before I knew it, I had signed a lease on a shop just across the road from the “test trading unit”. 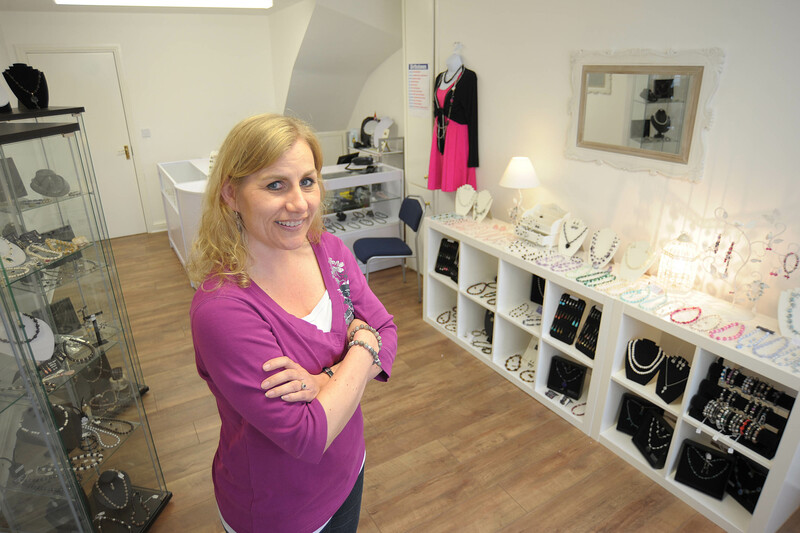 Made By Marianne opened its doors in April 2013 from its new shop at 24 High Street, Stockton. After trading at these premises for three years, I decided to concentrate on the online side of the business (this shop and my Etsy shop Gems By Maz). I still attend events like craft fairs and jewellery parties. So what is it that I find so fascinating about gemstones? I love the fact the gemstones have been dug out of the ground – a fantastic gift from Mother Nature. And although I have bought the gemstones in England, some have come from far afield – from frozen Siberia or beneath Norwegian glaciers to hotter climates in Africa, Asia or South America. I also love the diversity – there are so many different gemstones and so many different cuts. Sometimes I just find myself staring at a strand of gemstones because their beauty can be breathtaking. I’m also fascinated to hear stories from people who believe in crystal healing and the different properties of the stones. I’ve heard about blind people being able to tell gemstones apart solely from the vibrations they’re feeling when holding them in their hand. The beautiful scenery of my home country is where I draw most of my inspiration from – snow-capped mountains, glaciers and frozen lakes to deep, blue fjords, green forests and the vibrant colours of the stunning Northern Lights. And while in the early days I got a buzz out of making jewellery to go with my clothes, to make bespoke jewellery for somebody else – to match a special outfit or as a unique gift – is a lot more rewarding.